Our fly fishing charters run from approximately mid-April through to the end of October. We have an abundance of small secluded mountain lakes in the Okanagan Valley that range in elevation from the valley bottom at 1150′ to as high as 5500′ This change in elevation allows us to fish the various hatches of insects from the start of our season on through to the heat of the summers months. As well, if we’ve a day of bad weather approaching with a crashing barometer sometimes fishing a lower elevation lake can make for a better day of fishing and definitely a more comfortable one. 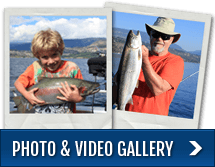 For a typical day of fishing we usually meet at 7 am in Kelowna or West Kelowna. 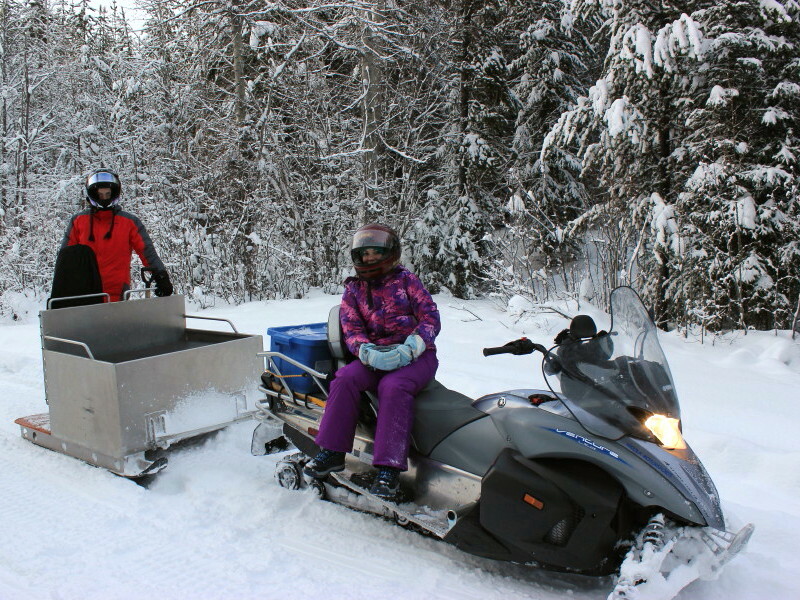 You then have the option of riding with us to our destination lake or following us in your vehicle. Travel time varies to each lake and can be a 45 minute to 1-1/2 hour drive one way and we return usually by 5 pm. 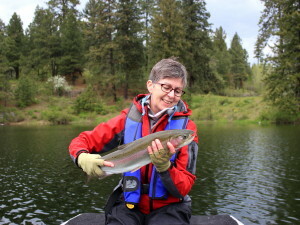 If you happen to be in Vernon or Penticton, to better accommodate you, we can arrange to meet in your city and fish a lake closer to your area. We supply all safety and fishing equipment needed. You are responsible for your fishing license and your food and drink for the day. Upon request, we can supply a lunch for you and you will have 2 options, a box lunch or shore lunch. A box lunch consists of a breakfast muffin, custom built sandwich, chips, fresh in season fruit or vegetables and dip, dessert and your choice of water, juice or pop. 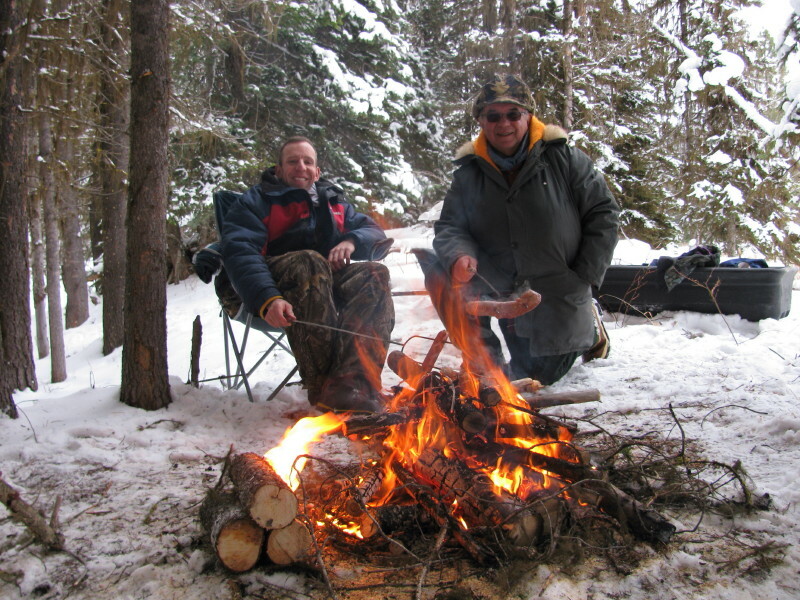 Should you wish to opt for a shore lunch (this is very popular on father and son trips) you have the option of roasting smokies over a fire with fire roasted cherry pie for dessert or a traditional fish shore lunch that includes roasted cheesy bacon potatoes, vegetable kabob, baked beans and your fresh caught Rainbow Trout finished with dessert. The box lunch and shore lunch cost is $25.00 per person. Please keep in mind that a shore lunch typically takes about 1-1/2 hours to complete so for those die hard fishermen this usually isn’t an option. Many of our lakes boast an abundance of aquatic invertebrates and “matching the hatch” is essential to having a successful day. Water temperature plays a very important part in determining the emergence of these hatches. Our seasons’ sequence of hatches typically starts with the midges, (chironomids) then mayflies, damselflies, caddisflies and dragonflies. Other food sources that can be imitated and are present year round in our lakes are scuds, leeches, backswimmers and in some lakes forage fish such as the red sided shiner. Another food source that I haven’t mentioned is the water boatman, this is usually lake specific and can be incredible when on. The takes can be extremely hard hitting and if not ready, break offs are common. Typically this is a fall fishery with the best days fishing after we’ve had a cold clear night followed by a bluebird day. Most of our lakes are home to Rainbow Trout but we do have a few that host some good sized Brook Trout. To best describe our small lakes fishery we can break it down to 3 different types of lakes. Type #1 lakes have a 5 fish limit and these lakes typically are home to smaller fish in the 1 to 2 pound range. Type #2 lakes will have a reduced limit that allows an angler to keep only 1 or 2 fish depending on the lake. Added to this, in some lakes the fish must be smaller than 50 cm in order to keep for the table. Many of these lakes have Rainbows to 5 pounds. And finally our Type #3 lakes, we call these our Trophy lakes. Fly fishing only, barbless hooks and zero fish retention. 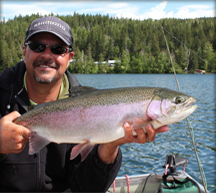 Although it can be tougher to catch these large fish, catching Rainbow Trout to 10 pounds isn’t uncommon. We primarily use our flat bottom Jon boats for fly fishing, with our 10 foot Jon being suited for 1 guest and guide and our 13 foot for 2 guests and guide. Each boat is equipped with an electric motor, padded swivel seats and a front and rear anchor system that allows us to double anchor while on the shoals. While anchored and casting to fish, it is important to be stealthy quiet…our boats have carpeted floors to deaden any sound. We use 5 weight G.Loomis and Sage fly rods mated with G.Loomis and Ross reels. For floating lines our reels are loaded with Scientific Anglers weight forward Mastery Textured Series floating lines. When it comes to sub surface fishing we use Airflow Fly lines’ Forty Plus in intermediate and type 3 and for gomphus and booby fishing we use Airflows Sixth Sense type 7. 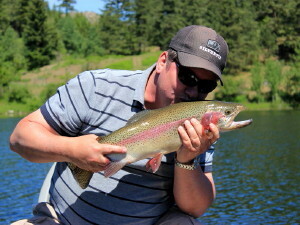 So to break it down, our best fly fishing starts in late April and runs through May and June. Although we’ve had some good days in the summer months of July and August they typically are slower than the spring and fall months. As the summer months come to an end around mid-September through to the end of October fishing once again can be very good as the Rainbows and Brookies put on the feed bag, fattening up for the colder winter months approaching. One fly fishing method that works extremely well just after “ice off” and into the spring is suspending midge pupa patterns commonly known as chironomids under an indicator. Although midges will hatch throughout the year the best times to imitate them are in the spring as they are the first aquatic insects to hatch and the hatches can be very heavy making this a meal a Rainbow just can’t resist. Using an indicator allows the midge pupa fly to stay in the “zone” for a much longer period of time than if you were to continually cast and retrieve your fly. Not only is this an extremely effective method of fishing it is a great way for a beginner fly fisherman to get started fly fishing. In the fall the same technique can be used with leeches and using the wind to drift a leech under an indicator can prove deadly.